Click on the links to view full articles. I attended my very first Area 5 Festival in Spring 2006 in Akron, Ohio. And what an experience it was! 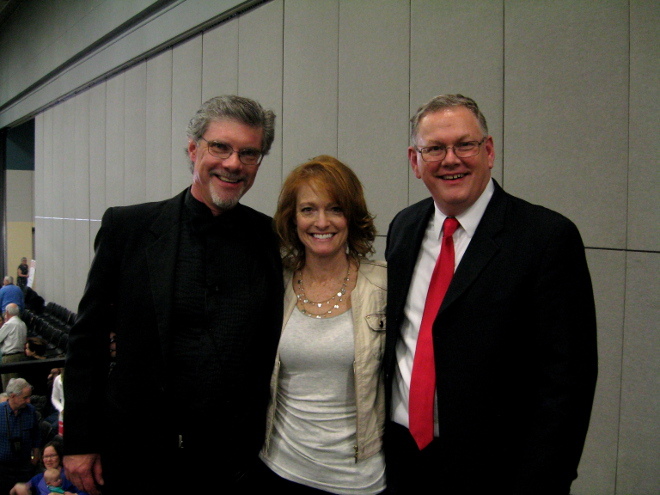 The clinician was Dr. Bill Payn, and I was one of approximately 800 ringers in the room. Not kidding, it was huge. And I loved every minute. A rare moment of down time at the Area 5 Festival in Akron, Ohio. That’s me with the dark hair, eight ringers in. A year before that festival I wasn’t playing handbells much at all. I’d learned as a kid and I still knew how, but it wasn’t an active part of my life. Then I joined a community choir (a fun story all by itself) and I attended that first Area 5 Festival with them and everything changed. The Akron festival was only my second mass ring ever, and with 90 choirs in such a huge room with such a prolific clinician it was a bit overwhelming. By the end of the event I had learned more about timing and control, about listening to the groups around me, and above all, about getting out of the music faster and watching the director! I don’t remember which classes I attended, but I do remember having an excellent time meeting other ringers and learning from them. It always fascinates me to see how ringers find different solutions to their handbell challenges. I didn’t know it at the time, but the one-two punch of that community choir and that Area 5 Festival would become a significant milestone in my life. Joining together with so many ringers to make great music was amazing. Handbells was rapidly becoming an essential part of my life; something I loved and needed as opposed to something I simply did. From there it was a short step to attending Distinctly Bronze, a massed event for advanced ringers organized by the Handbell Musicians of America National Board. I was terrified (“Surely everyone here is more advanced than me!”), but it was just as amazing, and I learned just as much if not more about ringing and ringing musically. I’ve been back almost every year since. Through area festivals and national events I’ve grown immensely as a ringer, and I’ve met wonderful ringers from all over the country – some of whom serve with me on the Area 5 Board today! In April, Area 5 is hosting a Festival Conference in Dayton, Ohio with clinician Kevin McChesney. I encourage you to take the first step and register to attend. 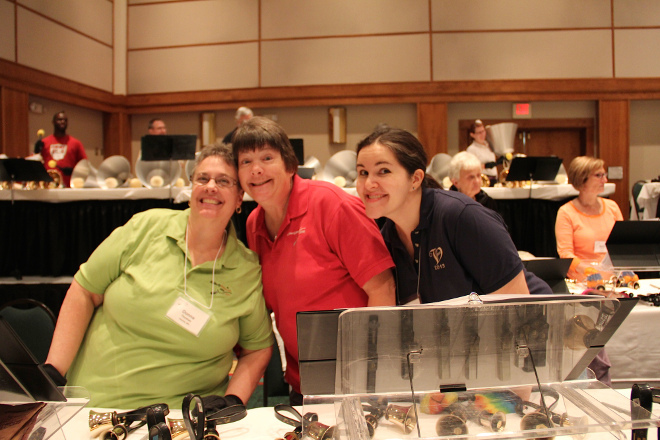 This festival is a great way to expand your handbell horizons, improve your skills, and most importantly, have fun with other awesome ringers! John Maxwell once said “A leader who produces other leaders multiplies their influences.” I believe that the Area 5 Handbell Musicians of America board took bold steps toward that goal this spring with the launch of the Festival Associate Conductor program. While reading the announcement of the program, I immediately thought “what a great idea.” As I read further, inspiration grew within me to apply for the position. The application process proved to be its own learning experience. Taking time to write about my personal development as a handbell ringer, educator, and conductor allowed me to reflect on the numerous people who have influenced my musicianship. I was taken back to the very first time that I held a handbell at summer music camp and the lasting impact that a positive director had on my ringing from the outset. A second step in the application included the submission of videos demonstrating the applicants conducting. This is the point where my choirs had to help out, and I have to say they were more than supportive. During the video sessions, everyone performed exceptionally, and the experience brought out the best in all of us. When news came that I had been selected as the associate conductor, my choir members seemed as excited as I was. We continued preparations for the festival, but they graciously allowed me to experiment with ideas and techniques that might useful in leading a massed-ring rehearsal. 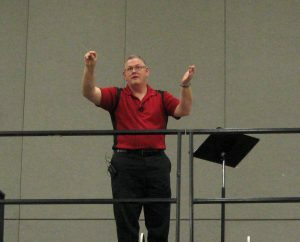 As the festival approached, I also began communicating with Kevin McChesney to lay out repertoire and rehearsal plans. Working with McChesney before and during the festival delivered valuable results. His guidance and instruction provided vital insight in working with a large group of ringers. We discussed conducting issues, rehearsal management, and instructive interaction between conductor and ringer. Following the event, McChesney generated a written evaluation which summarized our collaboration and provided additional feedback to help develop my ability to lead in a massed-ring setting. The actual experience of standing before 700 exceptional ringers proved to be a highlight of the entire program. The advanced quality of ringing at the 2016 festival was readily apparent to both McChesney and myself right from the start. From my first moments on the podium to the final note of concert, I felt extremely fortunate to have this experience with such an outstanding group of musicians. 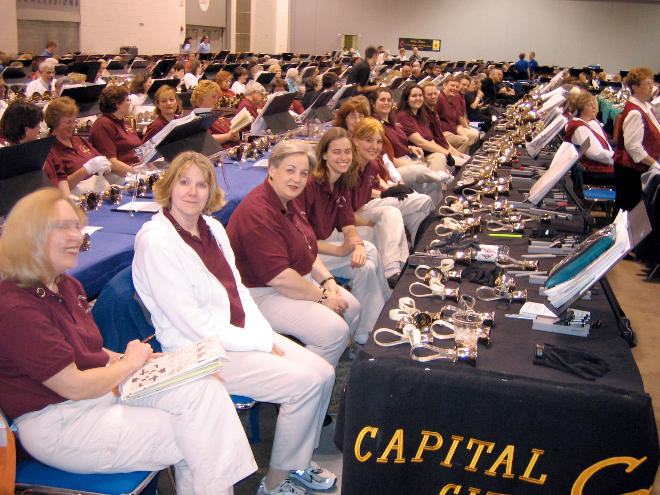 Area 5 continues to uphold a rich tradition of handbell innovation and education. The Festival Associate Conductor program provides a significant opportunity for conductors who wish to gain experience leading in a massed-ring setting. I have encouraged the Area 5 board to evaluate and further improve the program making it possible for a leader to produce other leaders to multiply their influence on future ringers. Joe Galyon engages people from all walks of life in the music ministry at Church of the Saviour United Methodist. 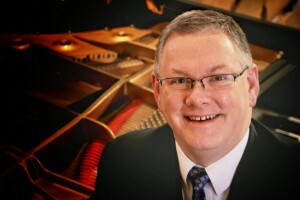 With a passion for developing church musicians of any age, he oversees a program of eighteen choral, handbell, and instrumental ensembles that enhance weekly worship and unique liturgical services. Reaching beyond the local church, Joe designs and manages the annual youth choir tour: a nine-day trip with forty teens who sing, ring, and provide mission service. 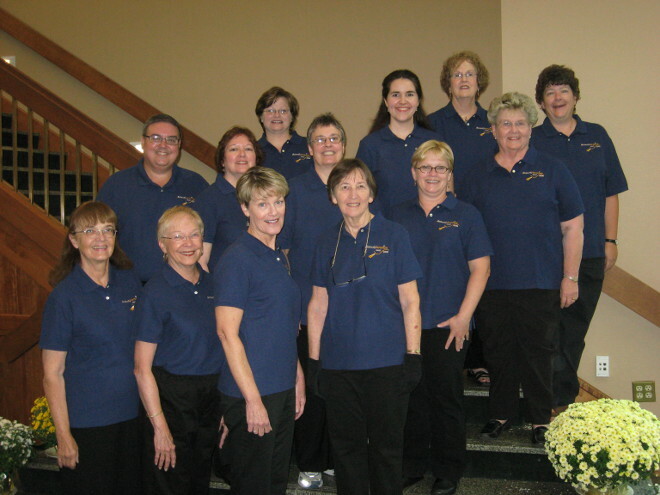 In 2016, Youth Choir Tour XV includes concerts in Illinois, Iowa, Minnesota, Wisconsin, and Ohio. Under Joe’s leadership, the handbell program at his church includes three graded children’s choirs, two teen choirs, and two adult choirs. He generates ongoing interest in ringing through leadership training, community performance, festival participation, and commission premieres.